A common mistake that investors make is that if they think a company is good, they’re willing to buy its stock at any price. In reality, a stock can behave very differently than the underlying company if it is overvalued or undervalued relative to the company’s fundamentals. This can present investors with opportunities in the case of value stocks, where their stock prices are suppressed below their actual fundamentals. But it can also work against investors sometimes, especially for some growth stocks where enthusiasm may push the stock price up faster than the fundamentals. In these graphs, the black line is the actual share price, the blue line is the price it would be if it were at its historical average earnings multiple, and the orange line is an ideal bargain-hunting price based on a more attractive multiple, generally around a PEG ratio of 1. 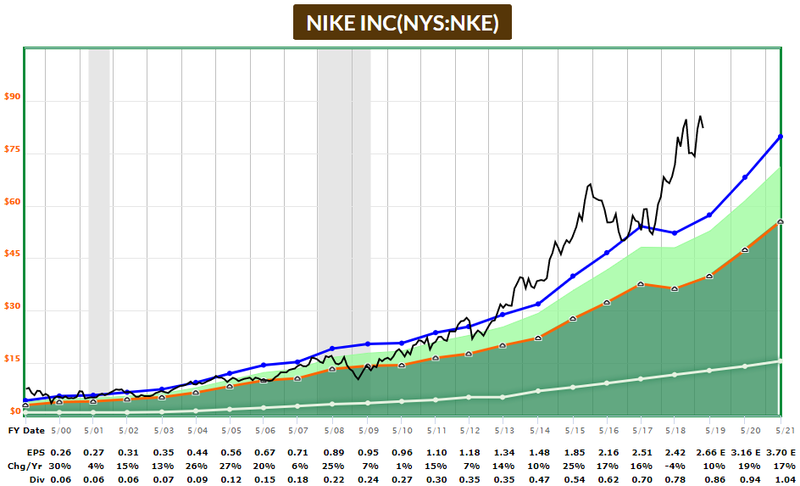 For a long time, Nike stock was fairly-valued. Then in 2009 like most companies, its share price dropped deep below fundamentals, presenting an amazing buying opportunity. Since then, the stock has rebounded, and eventually outpaced fundamentals. By 2015, the stock price had surged up way faster than company’s fundamentals (earnings, cash flow, dividends, etc) were growing. The result is that the stock inevitably fell back down to where it should be. But over the past two years, the stock has once again surged up past its historical valuation. 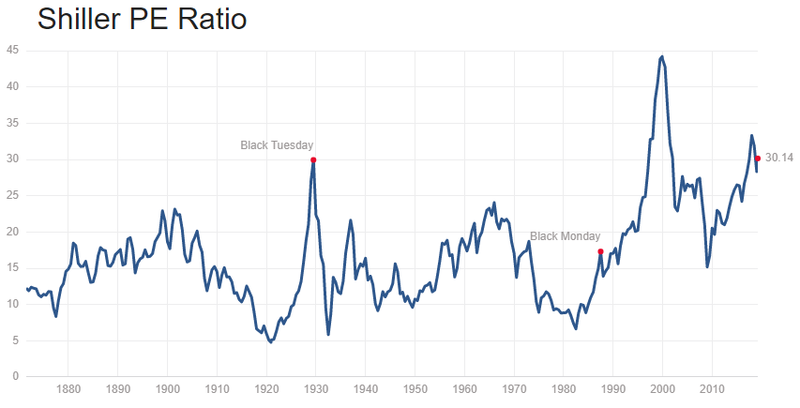 It trades for a higher price to adjusted earnings than most other times in modern history. It’s hard to say how long it will take for a stock to get back to appropriate earnings multiples. Sometimes it happens quickly, like in the case for Nike a few years ago. Other times the valuation anomaly can exist for years. Sometimes, instead of the stock price going down, it just stays flat for a while as fundamentals slowly catch up. This means investors receive a period of low/flat returns for a while. Visa is an incredible company that is benefiting from the trend away from cash and towards credit cards and digital payment methods. Whether you pay with a physical card or an app that is linked to a card, Visa benefits either way. Visa consistently generates double-digit returns on invested capital (ROIC), has a great balance sheet, and a strong growth runway ahead. Their S&P credit rating is a very strong “AA-“. But like many great companies, the stock has outpaced company growth in recent years. 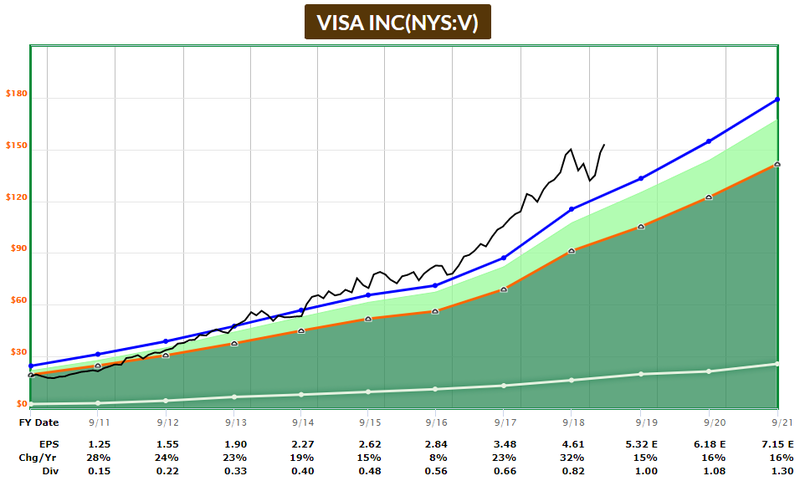 I have a small position in Visa that I bought during that dip in late 2018, but I’d need to see it closer to $120 to buy more, rather than buy at the current price over $150. You’ll find similar things with its competitors, including Mastercard, Paypal, Square, and other companies that are benefiting from the tailwind of going cashless. Most of their fundamentals are great, but investors know that and have bid up the stock valuations to high levels. Based on many metrics, such as price-to-sales, price-to-book, market-cap-to-GDP, or cyclically-adjusted price-to-earnings, the U.S. stock market is pricey. Economic growth usually comes in cycles, and we’ve enjoyed ten years without a recession. It’s easy for stock investors to become complacent and assume that things will keep going as they have recently, but smart investors need to look ahead. Profit margins are at an all-time high, and yet they tend to come down during periods of economic weakness. Corporate balance sheets are stretched with high levels of debt, although some companies like Visa and Nike have kept relatively clean financial positions. 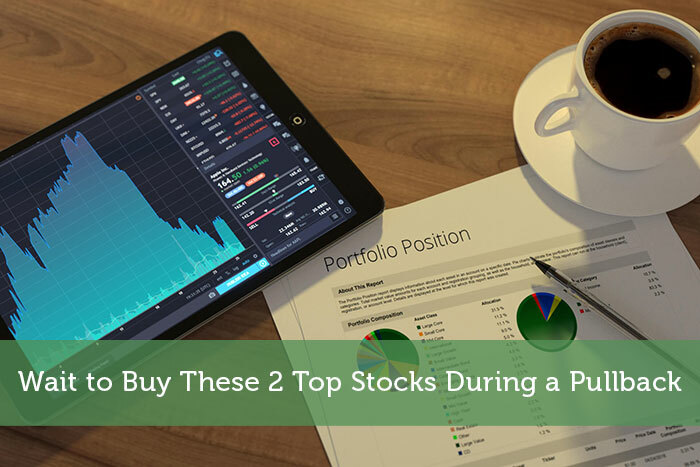 By remaining diversified, and having some fresh powder to buy during dips and cashes, investors can potentially reduce their portfolio volatility and improve their annual returns. Disclosure: The author is long Visa and Paypal.